Over the past few weeks, there's been news revolving around Rocket League. Rocket League developers, Psyonix have recently announced a new stadium, four new cars, new items and a trade in system, as well as reviving a few cars from the older versions of the game. This is a pretty large update and will serve to keep Rocket League on course as one of the most unique games ever made. First off, we have the new incredible stadium that they are releasing for us. The stadium is really well-made and is full of neon-lit skyscrapers and other wonders to really bring out the brightness in Tokyo. 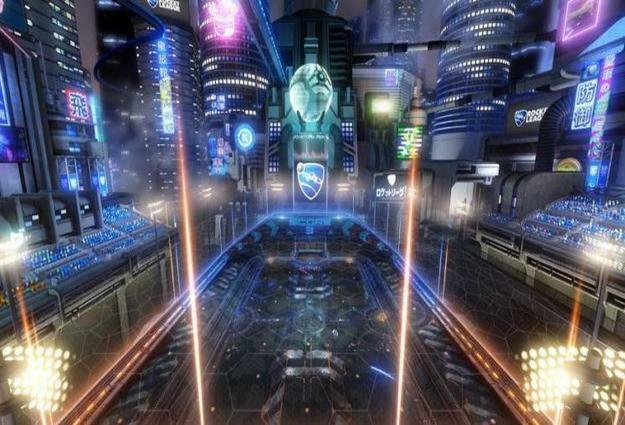 Furthermore, Psyonix have also announced to us that they will be adding a new Rocket Labs stadium called ‘The Pillars’ which has to be their most sophisticated map yet, with a clear center of the field and two large pillars either side of the center circle. Behind these two pillars are larger areas which will allow players will go neck and neck with their opponents. Along with the new stadium, there will be four new cars that will be added to the new update. Starting off, we have two new brand new cars, the Esper and the Masamune. The Esper is a futuristic car designed with a Tokyo theme in mind. Next, we have the Masamune, which will look like your typical Rocket League car, but with a sport theme to make it more appealing to players. There is a little fun fact that comes with these two cars, as they were in the original Rocket League based game, Supersonic Acrobatic Rocket-Powered Battle-Cars, which was released in 2008. Psyonix has also brought back two more new cars from the original game, which are the Marauder and the Aftershock. The Marauder is an SUV and The Aftershock will be remodeled into a car that actually looks more like a rocket. Luckily, these cars will be available to the public before the actual update, which will be on June 20th. The four new cars will be released two days earlier, but first for the Collectors Edition and later for the Digital version. Each car will be sold separately, so get your cash ready! Car customization is going to be completely changed according to Psyonix. They will be adding a new showroom feature, which was recently teased via Twitter. On top of this new car customization feature, the four new cars will have completely different customization features. This will only be effective for the new cars and not for the original cars, not including the Batmobile and the Back To The Future DeLorean. Lastly, Psyonix will be adding a new trade-in System, which will finally get rid of your uncommon item trades for more rare items. Not much information has been revealed about the new system, but it is definitely in the works. So then, Rocket League fans, are you guys excited for the new update? I know I am! Spy, Patrick_NL, AzzidReign and 4 others like this.